Apple's suing a number of manufacturers of Apple accessories, saying of their products, "many are of inferior quality and reliability, raising significant concerns over compatibility with and damage to Apple’s products." Apple says the manufacturers are infringing multiple patents and violating the Apple trademark. The suit involves companies Accstation , Boxwave Corporation , Crazyondigital , EforCity Corporation , Everydaysource , Itrimming , and United Integral , but it's possible that it may expand to include as many twenty additional companies. All of the companies are US-based. 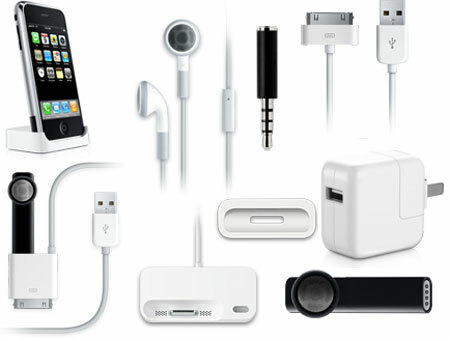 Apple's royalty from licensed accessories in its Made for iPod program ranges around 20-25 percent. Developers in the program have access to technical documentation about the iPod Accessory protocol, the communication protocol used with iPads, iPods, and iPhones, as well as technical support. Thei main benefit, though, is a certification logo testifying that the product meets Apple performance standards. The suit raises concerns about anti-competitive behavior on Apple's part, which is not a new charge for the company. Recently the Connecticut State Attorney General indicated that he's launching an investigation to their e-book pricing practices, while a similar investigation is underway in Texas. Last month, changes to copyright law by the Library Congress declared that Apple's actions in making their phones unable to be used on other networks or with non-Apple approved applications, were outside the law and that users "jailbreaking" their phones to get around such restrictions were not, as Apple had argued, a violation of copyright. In June, the US FTC (Federal Trade Commission) began investigating Apple to determine whether their business practices regarding iPhone applications was anti-competitive. The case is Apple Inc. v. eForCity Corp., 10-3216, U.S. District Court for the Northern District of California (San Francisco). I am a F&amp;SF writer and editor as well as a tech journalist. A long time gamer, I learned to program from working with a MUD, and moved on from there to work with RSA and Microsoft. Hum... Apple is no-longer different than Microsoft, both use deliberate incompatibilities to remove customer choice. Time to move to Linux.